Well I’m back from a short hiatus — I took a little time off to hang out with my boys during their winter break. 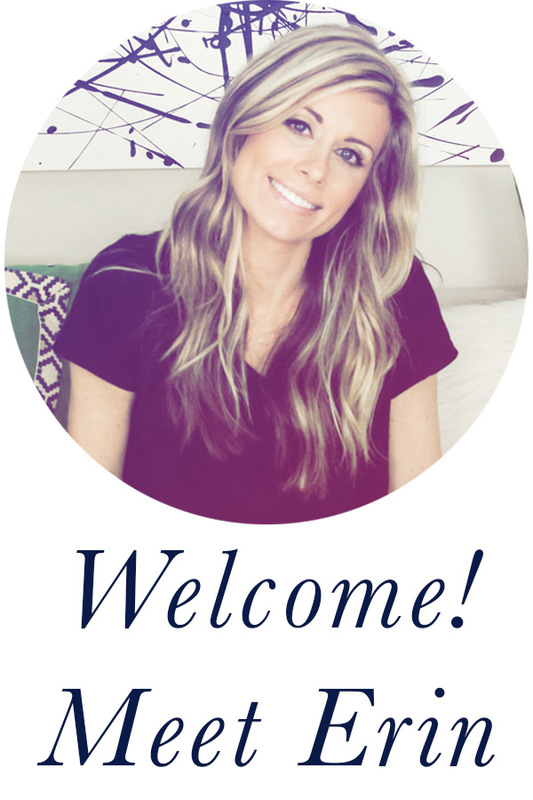 I’m trying to get back into the swing of blogging, but with a newborn baby at home, my posts might be sporadic for a while. 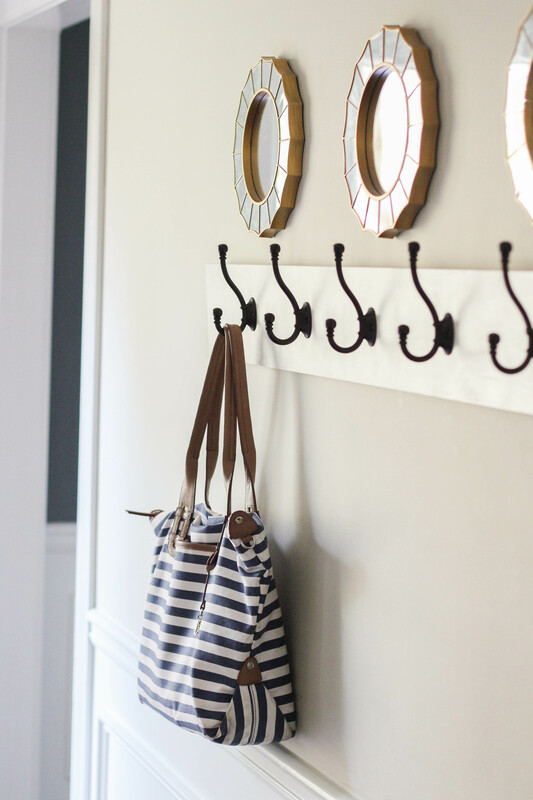 Anyway, back when I temporarily lost my mind — aka was nesting like a mad woman — and decided that our entryway needed a makeover, one of the things I wanted to incorporate was a wall-mounted coat rack. We don’t have a coat closet — the previous owners added shelving and converted it into a second pantry since it’s randomly in the kitchen, and we haven’t converted it back. I decided to build a simple coat rack to hang above the new bench. (You can find the bench plans and tutorial here.) 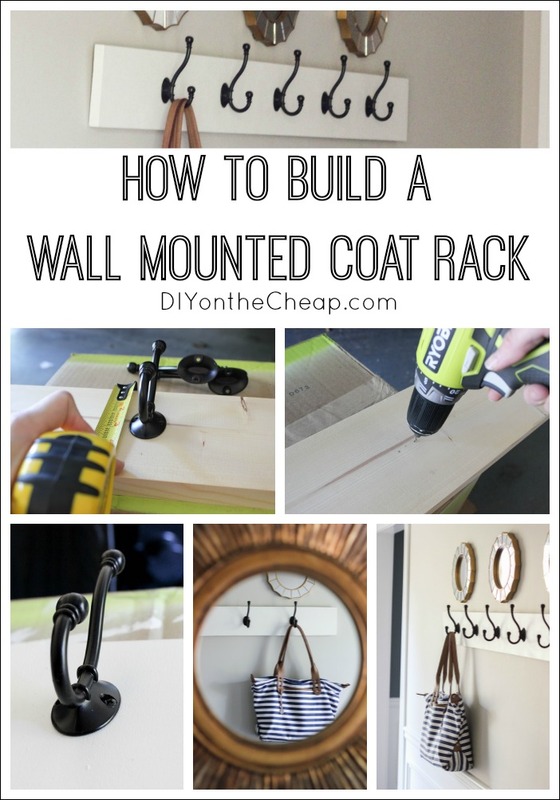 Here’s how to build a wall mounted coat rack — it’s very easy! Cut your 1×6 to 54″ inches long (or length of your choice), or have your wood cut for you when you purchase it at The Home Depot. 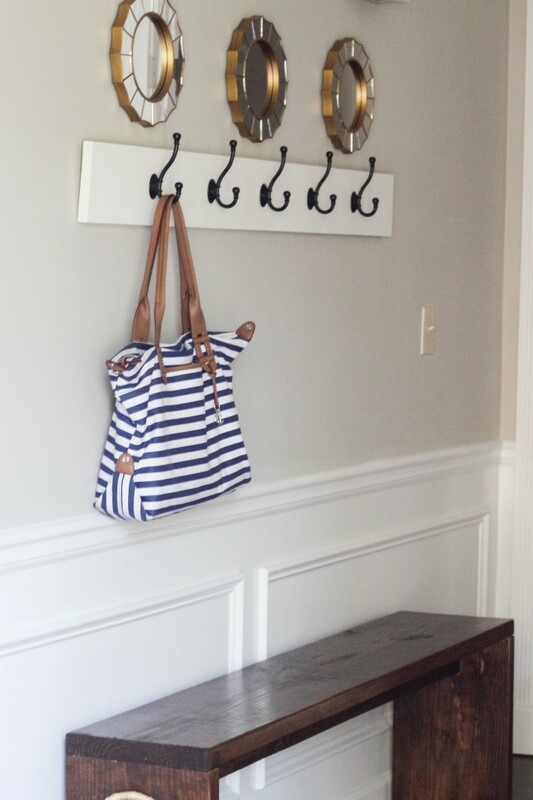 Place the coat hooks 9 inches apart, center the hooks on the board, and use a pencil to mark the holes. Then, drill pilot holes where the coat hooks will go. Prime and paint the wood. (Or stain it.) I use a combo of a paint brush for the edges and a foam roller. 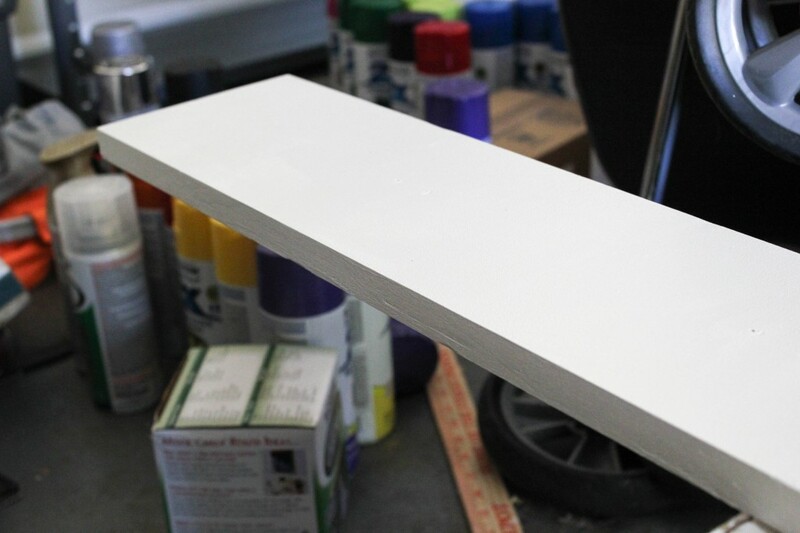 You can seal it with Minwax Finishing Paste for extra protection if you choose to. 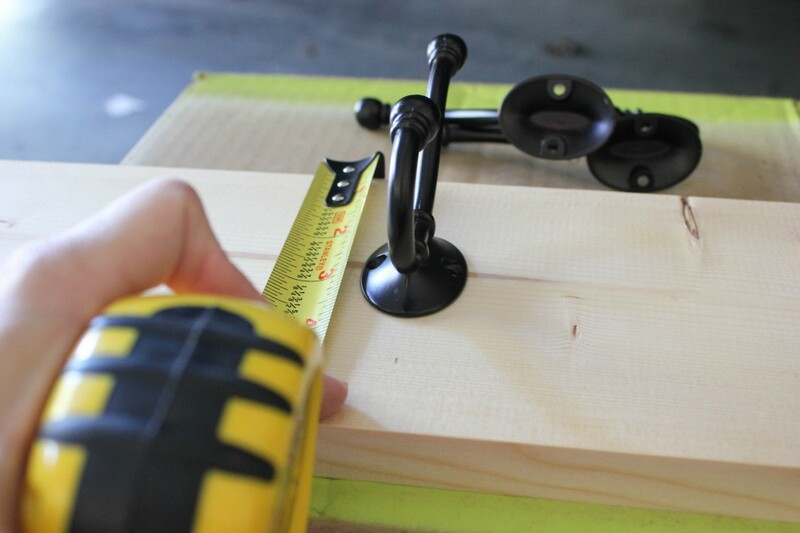 Use a screwdriver to attach the coat hooks, inserting the screws into the pre-drilled pilot holes. The screws that came with my coat hooks were just a teensy bit too long and protruded out the back of the wood just a bit. I used a RYOBI Multi-tool to cut the tips of the screws off so they wouldn’t scratch the wall, and then I covered them with tiny pieces of duct tape for added protection. You could purchase shorter screws instead, but I couldn’t find the color I needed so I just improvised. 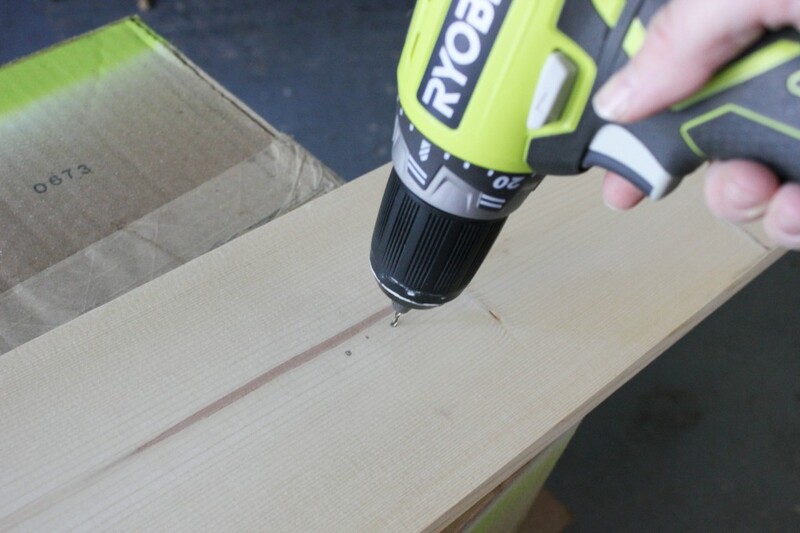 Drill directly into wall studs, or use wall anchors. If you prefer for the screws to not be visible, you can countersink them and then use wood filler and paint to cover them up. Another option is to use D-Rings and wall anchors, which is how I chose to hang mine since I didn’t want the screws to be visible. That’s it! Pretty simple. 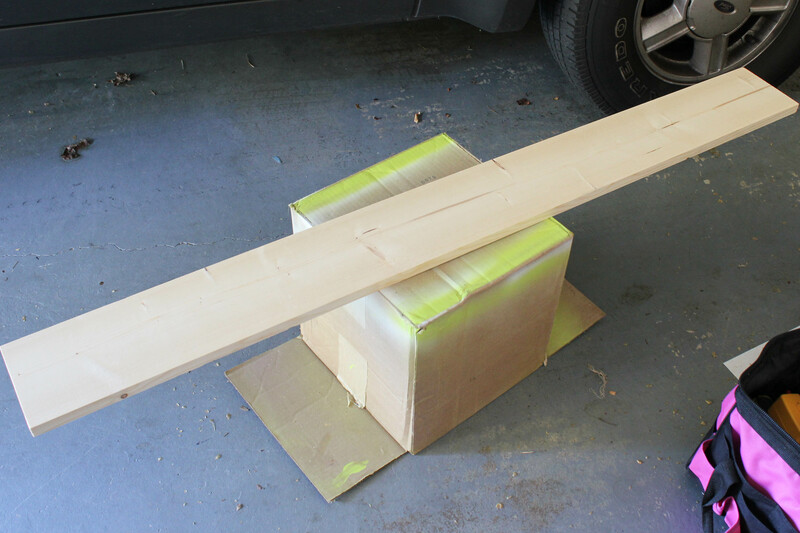 This is a great beginner project since it doesn’t require complex cuts, and you could use a regular handsaw instead of a miter saw if you wanted to. No judging here, Cindy! I’ve had these hooks since the summer too and finally used them! Cute! I actually am doing a project right now with these same hooks, love them! This is so beautiful but yet seems so simple to make. or you could use a hand saw and make that cut in 1 minute. Hand Tools are a lot safer to use if you are not that familiar with power ones. my two cents. 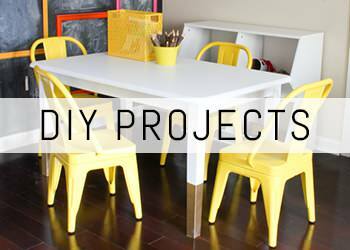 Definitely doing this project ! Yes, you definitely could! I mentioned this toward the end of my post. I use my miter saw for just about everything, but certainly if you aren’t comfortable with power tools then a hand saw would work fine. 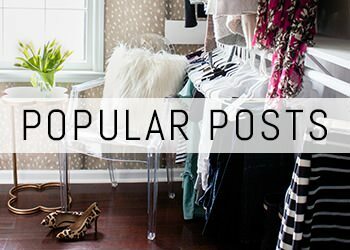 What type of wood do you recommend? About to head to Home Depot and I would like to be prepared! Thanks! Hi Erin! I always just use basic pine boards. They’re cheap! 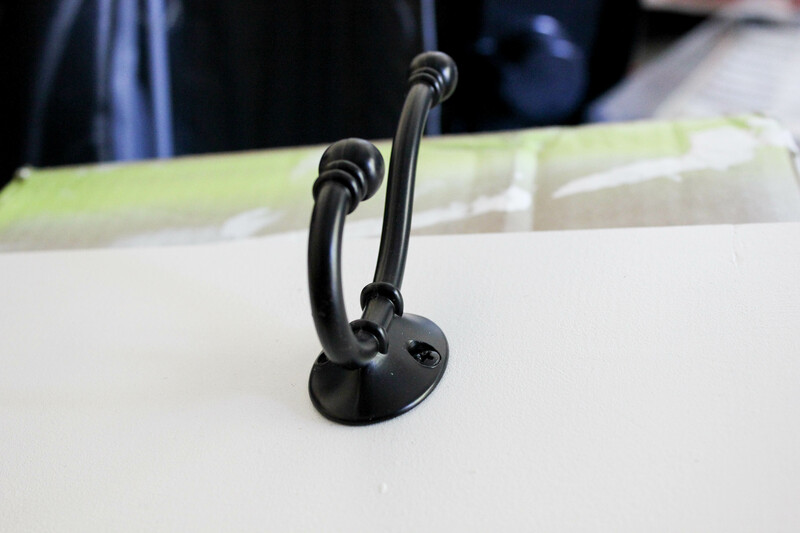 Another suggestion so that the mounting screws aren’t visible and so that the mounting board is flush with the wall…depending on the hooks you use (like the hooks in the picture) if you can space them so that two of them are 16″ on center, you can put counter sunk mounting screws behind the hooks and directly into the wall studs. If you can’t mount it to the studs for some reason you could use any number of types of hollow wall anchors. It would them be flush and have a clean appearance. Just remember how you did it if you plan on taking it down someday! HAHA! I attached two of them to the back (one at each end) and used them to hang it on the wall.